Nokia famously cast aside its own MeeGo platform earlier this year in favour of Windows Phone, but many are hoping that MeeGo will have one last hurrah in the form of the N9. Feeding that wish is the possibility that Nokia will announce it within the next week at the Nokia Connection event in Singapore. iTWire received an invitation to the evnt and have said that Nokia are apparently introducing a 'new market disrupting device'. 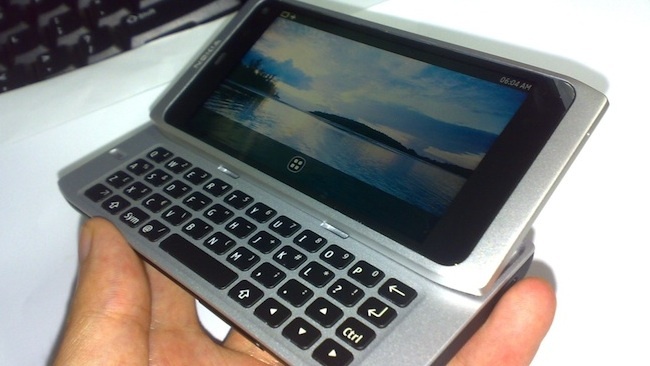 That could be the N9, which, by the way, was recently approved by the FCC in America. There has also been a request put out to keep N9 images confidential further fueling the rumour mill that the handset is about to get official. Even if it does become official in Singapore we should remind you of what Eldar said regarding the device, namely that only 92,000 of them will be produced. For a global audience that would make the N9 a pretty rare commodity and it would no doubt achieve a sort of cult status pretty quickly amongst Nokia fans.